Get excited for sun and some ocean fun! On April 6th we will be going to Wellfleet, MA and walking the Cape Cod National Seashore’s Great Island Trail. It is about a 4.7 mile walk that starts with a nice stroll by the ocean the takes you through pine forests showing incredible views from the cliffs overlooking the Cape Cod Bay. We will be leaving from Marsh Plaza at 8AM and spending the day in Wellfleet, walking the trail and then ending it by finding an ice cream parlor obviously. We plan to be back around 6PM. Make sure to bring a bagged lunch, at least 1 L of water, money for ice cream, and we will be walking for a long period of time so dress accordingly for weather and comfort. This hike is for all levels of hiking experience. Spring is here and we hope you are just excited as us for warmer weather and a day away from the city! On Saturday, March 30st we will be leaving at 7AM from Marsh Plaza and driving up to Bean’s Grant, NH to take on Mt. Eisenhower (another 4,000 footer to cross off your list :). We will be hiking up Edmands Path Trail for about a solid 6.5 mile round trip. This hike is for intermediate to advanced hikers. Although it is supposed to be warm, make sure to bring layers, and there will definitely be snow so waterproof boots are required and/or other waterproof layers are recommended. In addition, please pack a lunch and snack, at least 1L of water, and money for dinner. We plan to stop somewhere in NH after the hike for food. Arrival home should be around 6PM. Join us on the first 4K hike of the spring semester! We’ll be hiking up Cannon Mountain in Franconia Notch State Park in New Hampshire on Sunday 2/17. This is a 4-mile hike round trip with over 2,000 feet of climbing so hiking experience is a must! We’ll be leaving at 7am from Boston (Marsh Plaza) and aiming to get back in the early evening. What better way to spend a Sunday on a 3 day weekend? Hi doods! We’ll be hiking Camel’s Hump, the third highest peak in VT! Get ready for 360 views of the Green Mountains and if we’re lucky, we’ll get to see Canada! We plan on leaving Saturday 12/8 in the morning from the Gear Closet (the red door on St Mary’s Street next to Beijing Cafe) at 5:45am and arriving back at BU around 8pm. It’s a 3.5 hour drive there and back. We plan to arrive around 9:30, hike for 5 hours (with a lunch break in between), and then be back at the van by 3:30pm. Drive home and be back around 8pm, and we’ll stop on the way home to grab dinner. It is a moderate to advanced hike and should take majority of the day! The cost of the trip will only be gas money, so about $10 for members and $15 for non-members. Trip leaders are an integral part of Outing Club. Among making many on-the-spot decisions on trips and responding to situations as they arise, trip leaders are responsible for planning trips, budgeting, working with other Outing Club members, and facilitating trips. Whether on or off the trail, trip leaders are kind, friendly, accountable, respectful, and conscious of the natural environment and of our impact on it. Trip leaders are expected to adhere by the Seven Principles of Leave No Trace and to promote those principles on Outing Club trips (https://lnt.org/learn/seven-principles-overview). If you are interested in becoming an Outing Club Trip Leader, please take the time to fill out the brief form below. Note that Trip Leaders in-training must attend an electronic training session at a later date to learn about creating and submitting event forms, etc. We will be hiking Mt Whiteface in the White Mountains, New Hampshire. For this trip, you will need hiking boots and warm clothes for outdoor, athletic activity. Hey BUOCers!!! My name is Clark and I will be running a sunrise hike up Mount Carrigain in the White Mountains. We are hoping for some killer views weather permitting. The plan is to leave campus at probably 10PM on Friday in order to drive up, should be about a 3 hour drive. Once we get there we will rest for an hour an hour or two and start hiking by 2:30 am on Saturday. The hike is five miles each way. It will be in the dark and headlamps are a necessity. We do have them If needed. The hike defiantly requires you to have experience with moderate to challenging hikes as it will be in the dark and the mountain is 4,700 ft. As always remember to bring lots of water, layer up, remember your hiking boots, and bring snacks. Remember it is the end of October so it will be cold you can always take layers off. We are planning on taking a leisurely drive up to New Hampshire Saturday, taking some pit stops along the way, camping, then hike all day Sunday. We will be returning no later than 7pm on Sunday. Come enjoy some foliage with us! Departure 10am Saturday from 504 Park Dr.
What better way to spend the long weekend than hiking the tallest mountain in Maine and exploring beautiful Acadia National Park?? This trip is 4 days total with 3 nights of camping. Departure set for 3pm Friday. Must have previous hiking experience (Katahdin is no joke)!! We’ll return to BU by 7pmthe latest on Monday. So many adventures packed into one weekend…get stoked, get outside!!! 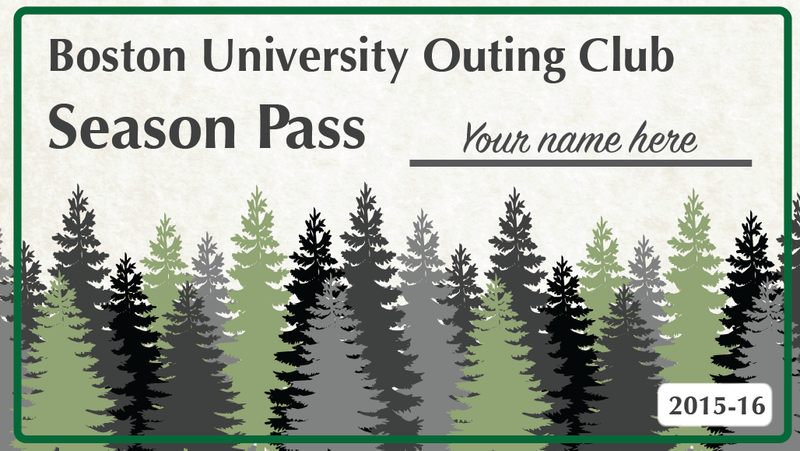 Look out for a sign up link posted on our Facebook Page later this week! Climb some boulders at Pawtuckaway State Park, a renowned crag in New Hampshire! There will be climbs of all levels ranging from V0 (beginner) to V8 and up. There will also be three dogs that Will is currently dogsitting. Bring climbing shoes. Free shoe rentals available. Sign ups go live Wednesday 9/27 at 10am. here! Drivers go on trips for free AND get reimbursed for gas!